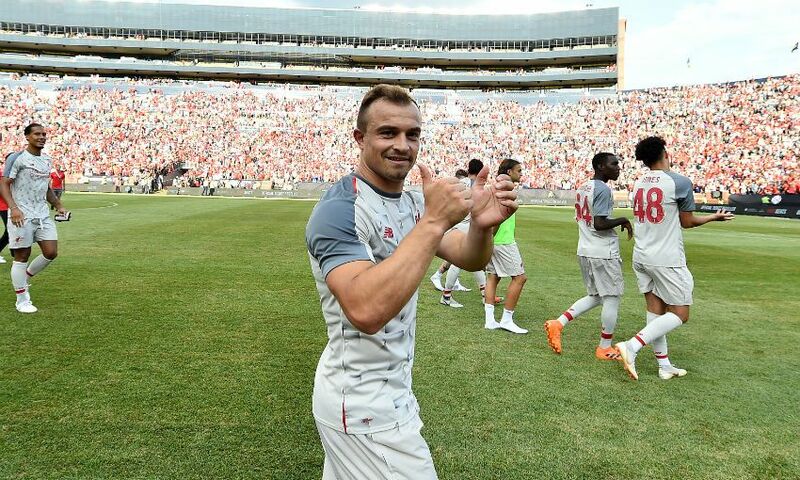 Go behind the scenes of Liverpool's 4-1 victory over Manchester United in Michigan with our exclusive 'Inside pre-season' video. The Reds rounded off their tour of the US with a convincing win over their arch-rivals in front of more than 100,000 fans at the 'Big House' in Ann Arbor. A stunning bicycle kick by new signing Xherdan Shaqiri on his Liverpool debut was the highlight on the pitch - and our cameras captured plenty of brilliant footage you won't see anywhere else before and after the action, too.